Corinthian Colleges announced today that Leon Panetta, until recently the U.S. Secretary of Defense, and Marc Morial, President and CEO of the National Urban League, have joined the for-profit college company's board of directors. In a field marked by ripoffs of students and taxpayers, Corinthian, which operates under the school names Everest, Heald, and Wyotech, has one of the worst records of all. The willingness of these two men to lend their credibility to Corinthian, which feeds off taxpayer money and often leaves its students worse off than when they started, is dismaying, to say the least. California's Attorney General found that Corinthian falsified students' employment records to inflate the company's job placement rate for graduates. In 2008, the company paid $6.6 million to settle the investigation out-of-court. An investigation by WFAA-TV in Dallas found that Corinthian falsified employment records of Texas students. 66.5 percent of Corinthian associate degree students drop out, as do 59.2 percent of its bachelor's degree students. An associate degree in business at Corinthian's Everest College in Florida costs$46,792, while the same program at Miami Dade Community College costs $6,453. A bachelor of science in business at Everest in Florida costs $81,680; the same degree from the University of Florida costs $24,458. Three-quarters of students who attended Corinthian-owned schools were unable to pay down any principal on their student debt in 2009, according to data from the Department of Education. Thirty-six percent of Corinthian students default on their loans within three years - the highest rate of all publicly traded for-profit education companies. Worse, Corinthian spent $10 million in 2010 to "manage" student defaults- repeatedly telephoning students to convince them to enter interest-bearing loan forbearance or deferment -- in order to be able to report lower default rates to the Department of Education. Last year, the Education Department released information about which career training programs and for-profit colleges are passing -- and which are flunking -- its new "gainful employment" rule. The Obama Administration watered down this regulation last year after a massive lobbying campaign by the for-profit college industry, and the rule imposes only the most minimal standards, measuring how many students are paying back their loans and how much debt they have compared to their inc0me. Corinthian's Everest College and Universities performed the absolute worst of all schools -- 43 out of 143 programs at those schools failed each of the three gainful employment tests. Because federal aid still doesn't cover all the cost of attending Corinthian, in 2009 and 2010 the company made private loans totaling $240 million to its students at an average interest rate of 13 to 15 percent, with some students paying as much as 18 percent. According to its own internal analysis, Corinthian estimated that 55 percent of students with these loans will default. Last year, Morial's Urban League accepted $1 million in aid from Corinthian. When I tried to ask a question of Morial and Corinthian Colleges CEO Jack Massimino on the conference call announcing the gift (paid for mostly with our tax dollars), the moderator announced that there were no more questions, and the call ended early. The Urban League's mission is "to provide economic empowerment, educational opportunities and the guarantee of civil rights for the underserved in America." Corinthian's record shows that it accomplishes just the opposite -- it takes students' money and often leaves them deep in debt without giving them real training for a better career. Fortunately, low-income communities have other strong advocates standing up against the abuses of for-profit colleges. The NAACP, Leadership Conference on Civil and Human Rights, Hip Hop Caucus, Mexican American Legal Defense and Educational Fund, and the National Council of La Raza are among the groups supporting President Obama's approach to holding the for-profits accountable. A majority of members of the Congressional Black Caucus voted in 2011 to back this Obama initiative, and Rep. Keith Ellison and others spoke with conviction about the importance of this issue. Rep. Maxine Waters (D-CA), has written to Donald Graham, the CEO of The Washington Post company, noting that Kaplan, the for-profit education business owned by the Post, had shut down a dental assistant program in Charlotte, NC, after students complained that they had been misled about the credentials they would receive. Waters wrote to Graham that such incidents illustrate the importance of federal rules to protect students and taxpayers from bad practices in this industry. She concluded, "I will continue to fight against any and all so called 'educational programs' that exploit and mislead those who simply want a good education and a better life." Morial, a former mayor of New Orleans, is now formally on the wrong side of this issue. Panetta's long and distinguished record of public service cannot excuse his endorsement of Corinthian. 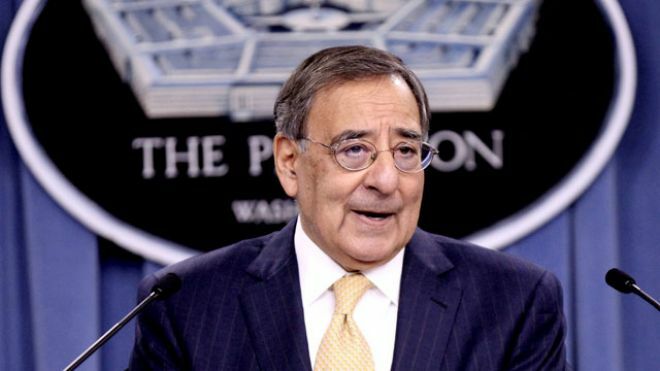 In fact, as with Morial, it makes it even worse that Panetta has lent his name to Corinthian. Especially because for-profit colleges have a particularly bad record when it comes to abusing our service members and veterans. Corinthian is the number seven recipient of GI Bill funding among all colleges in America. The for-profit college's trade association, APSCU, has now attempted to deflect all the criticism by having Admiral Mike Mullen, the former chairman of the Joint Chiefs of Staff, serve as keynote speaker for the group's upcoming convention. APSCU's website makes plain why they want Mullen to appear on their stage; APSCU boasts that Mullen's appearance at the convention "will be a truly extraordinary moment for private sector education, bringing increased visibility and respect to the sector." Now with Panetta on board, the for-profit college industry has another talking point to claim that it is military friendly. But it's not. Didn't they hear the President? Panetta should resign his new position, and instead support veterans' groups that are working to ensure that our troops, vets, and their families have access to quality, affordable, education opportunities that help them build careers.